Marine Gauges, Senders, Livorsi, Autometer and more! 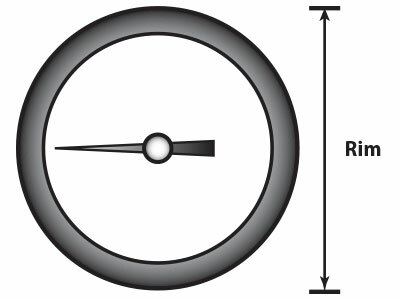 The case of the gauge if where all the gauges internal elctronics and mechanisms are stored. The Case is marginally smaller than the cut-out and is designed to fit through the hole. 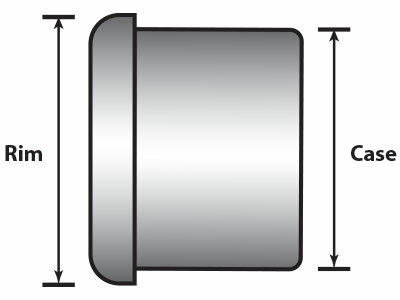 The Rim of the gauge is generally about an 1/8" larger than the case on all sides. This allows it to rest against the dash or a bezel without being pulled through. 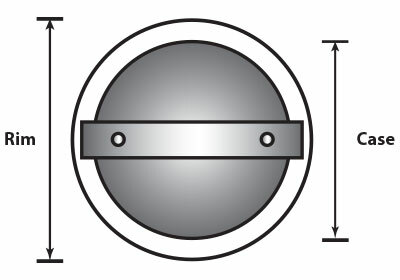 The diameter of the front of the gauge will be about 1/4" larger than the cut-out or case diameter. Once installed the rim will sit securely upon the dash while the case runs through the cut-out hole.